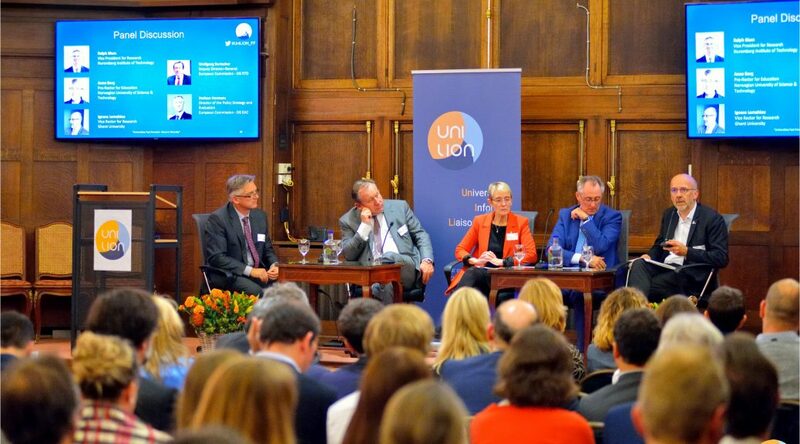 UnILiON organised its launch event on 16 October, at Foundation Universitaire premises, in Brussels. The “Universities Fast Forward: Value in Diversity”, moderated by Science|Business managing director Maryline Fiaschi, was the first event in a new, yearly series organised by UnILiON, an informal network of over 40 liaison offices representing more than 130 excellent universities based in Europe, Japan and Russia. Universities are navigating a fast-changing landscape, Horizon Europe missions must be open – and a strong relationship between education, research and innovation is essential to the future of Europe. These were key messages as UnILiON’s “Universities Fast Forward: Value in Diversity” event brought together EU policymakers and education leaders to debate the current and future role of universities, the international competitiveness of European higher education and funding under Horizon Europe.